The Polymakr PolyMax PLA 3D printing filament is an interesting alternative to standard PLA filaments that offers some features that are similar to ABS while remaining as easy to print with as traditional PLA. 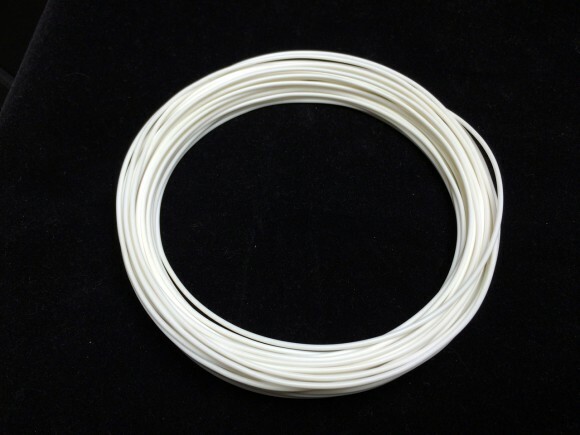 The most significant advantage that the PolyMax PLA 3D printing filament has according to the makers of the filament is that it has mechanical properties similar to ABS – high toughness and strength with the impact strength of parts printed using PolyMax PLA is supposed to be 8-9 times that of regular PLA-printed parts and 20% higher than ABS-printed parts. So if you are not able to use ABS on your 3D printer, but need to print parts that will be similar in strength to ABS you might want to try put PolyMax PLA. This PLA filament does not require a heated build platform, but can work with one as well, it is designed to be printed with setting similar as of normal PLA filament. 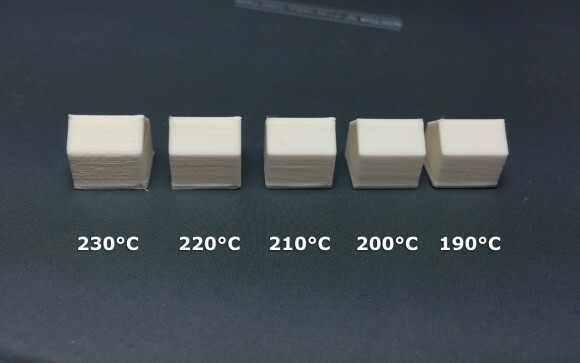 The recommended printing temperature range is 190-230 degrees Celsius and printing speed of 60-90 mm/s, or at least these are the numbers written on the short 15m PolyMax PLA filament sample. The official website does have a slightly larger range than these, but we tested using the numbers printed on the label of the filament we’ve got as a part of our order. We have tested the Polymakr PolyMax PLA filament on our MakerBot Replicator 2 3D printer using 90 mm/s extrusion speed and printing temperature of 190, 200, 210, 220 and 230 degrees Celsius to see the difference in the resulting print quality. We had no trouble having the PolyMax PLA 3D filament sticking to the build plate covered with 3M ScotchBlue painters tape, we have not observed any warping of the printed parts and the print quality was very good. You can see from the sample prints that lower temperatures around 200 degrees Celsius we are getting smoother prints and as we increase the temperature up to 230 the print surface gets a rougher look, though the print quality remains good and there are no problems with layer adhesion at higher or lower temperatures. If using a heated build platform lower printing temperatures are recommended, but since we do not have a device with heated build plate we cannot test that. Our overall experience with the Polymakr PolyMax PLA 3D printing filament is very good and it really offers better mechanical properties than standard PLA. It is easy to work with and the resulting quality is good, so it might be a really good alternative in some cases to ABS. Do note however that the thermal stability of the PolyMax PLA filament is similar to that of normal PLA, although it is probably slightly higher, but not close to what ABS offers, so not a complete replacement of ABS if you are going to be exposing the PolyMax PLA printed parts to higher temperatures of about 60-70 degrees Celsius or more.